Last night’s Sports Personality of the Year awards showed why 2012 has been a year that will long live in the memory. The huge success of Team GB at the Olympics and Paralympics rightly took centre stage as it was a summer that the British public will never forget. It was a remarkable show, in stark contrast to the controversial ceremony that took place last year. The whole event was completely inspirational, especially as Martine Wright, who survived the London 7/7 bombings to play sitting volleyball at the Paralympics, told of her struggle to compete as she won the Helen Rollason award. 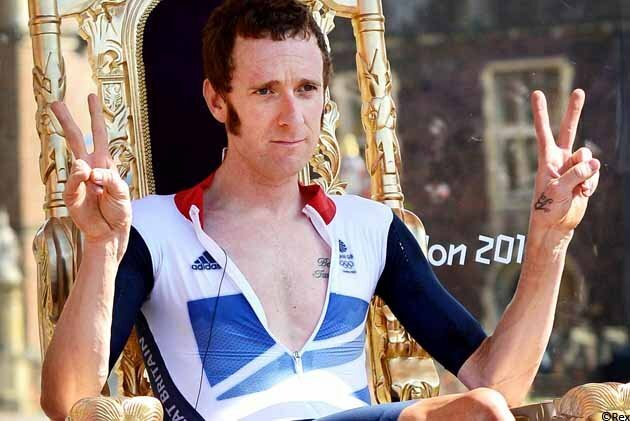 Bradley Wiggins, the 2012 Sports Personality of the Year. As a sports personality, there couldn’t have been a more perfect fit to the role than Bradley Wiggins, who was the deserved winner of the coveted trophy. His sporting achievement would have been enough alone. To win the Tour de France and Olympic gold in the time trial makes him superhuman in sporting terms. He stands above the rest of the superb cyclists this year like Sir Chris Hoy, Mark Cavendish, Laura Trott to name a few, and that is a difficult task. Last night, ‘Wiggo’ declared the bar open in his victory speech and it’s this undeniably British humour that has made him the most popular sportsman this year. Everyone has said it; all twelve nominees were worthy of the prize. However, personally I think that Mo Farah was the unlucky man on the night. This summer, everyone was doing the Mobot. He was a part of “Super Saturday”, arguably the most spectacular night for Team GB at the games. At the 2011 World Championships in Daegu, Farah was also favourite but had to settle for silver and his journey from then up until his Olympic victory showed the mental strength and stamina of a true Olympic hero. To win both the 5,000 and 10,000 metre finals, with everyone expecting you to do so and with such confidence was worthy of any prize. 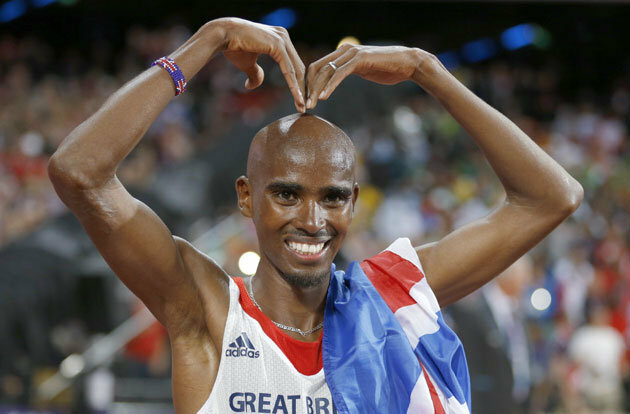 Mo Farah striking the iconic ‘Mobot’ pose. The difficulty is that Bradley Wiggins, Jessica Ennis and Andy Murray were all deserved of their places. It was a personal highlight to see Murray’s transformation from the grumpy Scotsman into the nation’s sweetheart. What can be said is that after all of the heroics that we’ve seen in the sporting world of 2012, the Sports Personality of the Year award should be the least of our worries. The ceremony recognised the great achievements made in by sportsmen and sportswomen this year and showed that British sport itself is in a special era. 2013 has much to live up to.